Shilpgram and Ranakpur Jain Temple will appeal to history buffs. Kumbhalgarh Fort and City Palace of Udaipur are good opportunities to explore the local culture. There's lots more to do: look for all kinds of wild species at Sajjangarh Wildlife Sanctuary, contemplate in the serene atmosphere at Jagdish Temple, soothe aching muscles at some of the top local wellness centers, and look for gifts at Henna by Madan. To see other places to visit, where to stay, reviews, and more tourist information, go to the Udaipur trip planner . 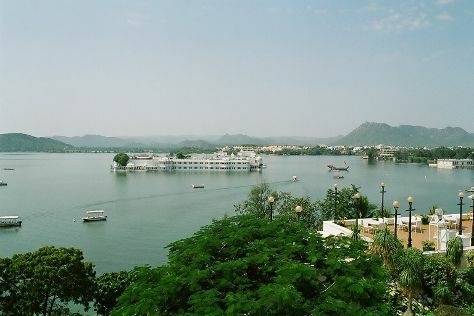 In December in Udaipur, expect temperatures between 29°C during the day and 10°C at night. Finish your sightseeing early on the 25th (Tue) so you can travel back home.